ComSec Kestrel Surface RF Locator Kits are a mobile, field ready RF signal intelligence system. 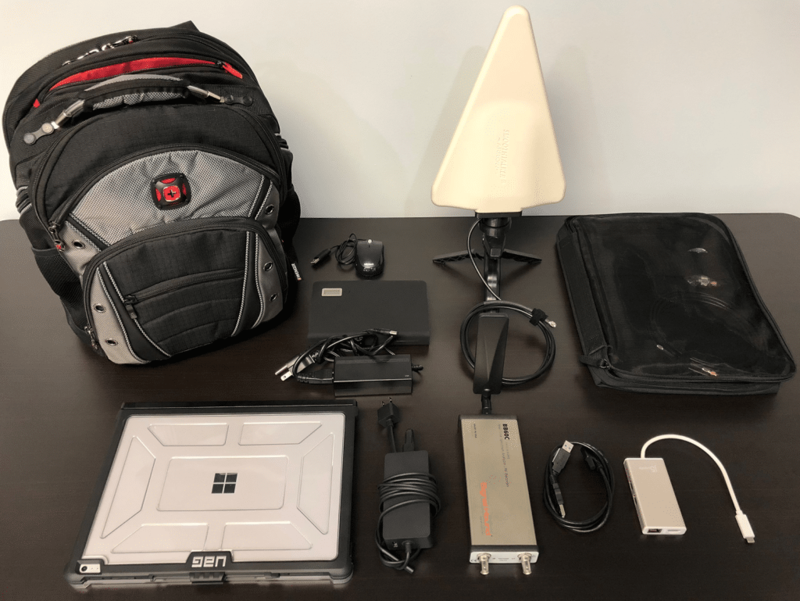 More specifically, the KRSFL kits feature the Kestrel TSCM Pro Software, Signal Hound software defined radio (SDR) and a Microsoft Surface Book 2. As well, each KSRFL kit includes all of the components necessary to perform RF signal analysis in the field . And, the computer, software and SDR have all been pre-configured and are ready to use. 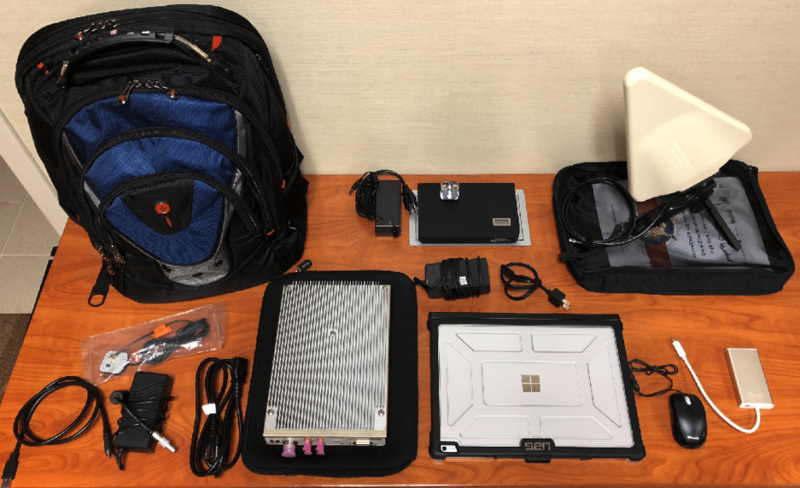 ComSec LLC’s Kestrel Surface RF Locator Kits are optimal for Mobile Signal Intelligence (SIGINT) gathering. They are also ideal for Technical Surveillance Counter Measures (TSCM) and other RF spectrum monitoring applications. And, ComSec LLC is the exclusive, sole source COTS provider of the Kestrel TSCM Pro Software, and the KSRFL and KSRFL-2 kits in the United States of America. Read the ComSec Kestrel RF Surface Locator Kit Brochure. Read the Kestrel TSCM Pro Software Brochure. Featuring the Signal Hound BB60C SDR: 9 kHz to 6 GHz Spectrum Analyzer and RF Recorder with a instantaneous bandwidth of 27 MHz, and sweep speeds of 24 GHz/sec. Featuring the Signal Hound SM200A SDR: Tunes from 100 kHz to 20 GHz. Sweeps at 1 THz/sec at 30 kHz RBW. 160 MHz of instantaneous bandwidth. 110 dB of dynamic range. Ultra-low phase noise. GPIO port antenna switching. We source and order components, perform quality checks and assemble the kits. All components needed to run the Kestrel TSCM Pro Software system are included in the kit. Components are high quality, field tested and provide optimal performance with the system. The computer is updated to the most recent OS and optimized for use with the software. The Kestrel TSCM Pro Software is pre-loaded and paired with the SDR. System operation has been verified and is field ready. ComSec LLC is the exclusive sole source distribution partner for Professional Development TSCM Group Inc., for Kestrel TSCM Professional Software for the United States of America (USA) including all states and territories, representing US Government / US Military, Commercial Interests, and third-party Military Contractor Sales.